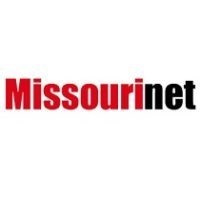 Top Stories: Several tornadoes were reported in southwest Missouri yesterday including one in Aurora which downed trees and power lines and caused roof damage to at least one mobile home. Storms left more than 2,000 homes without power in the region last night. And a team of first responders rescued a swimmer who attempted to swim across the Mississippi River in south St. Louis County last evening. A 41-year-old man jumped in to see if he could make it across without telling his friends before being rescued and brought to shore just before 7 p.m.